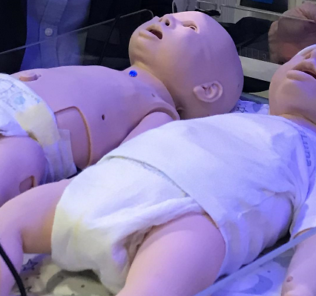 The Society for Simulation in Healthcare‘s International Meeting for Simulation in Healthcare 2019 opens today in San Antonio Texas to its largest attendance yet with over 3,000 participants and 800 vendor representatives. The event starts with a Keynote Address from Dr. Tali Sharot, Live Stream Sponsored by HealthySimulation.com! For those new to the website, welcome to the world’s leading resource website for all things Healthcare Simulation. Before anything else, take a quick moment to sign up for our free bimonthly medical simulation email newsletter so that you can keep up to date with all the latest healthcare simulation news, job listings, resources, product demos and more! Strengthen the organizational infrastructure to achieve our strategic priorities. Thanking the SSH staff, volunteers, and Board of Directors, Joe then thanked the audience for their continued support of the organization through dedicated and motivated work, all of which he is so impressed by. Dr. Lopreiato then wished the audience fair winds and following seas, before introducing the incoming SSH 2019 President KT Waxman. KT Waxman shared a little bit about her simulation journey, which began in 2005 with her leadership of the Bay Area Simulation Collaborative (BASC) and the California Simulation Alliance (CSA). She has also served on numerous committees throughout the SSH organization before now serving on the board. KT shared that SSH’s strategic plan has 4 pillars: identify, sustainability, value and leadership. SSH has resources for everyone to grow in their careers, and encourages us to be advocates for simulation leadership and to “talk the talk” about value and ROI to our institutional administration about simulation. 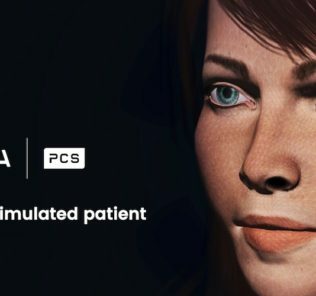 HealthySimulation.com is dedicated to providing the latest Laerdal news and #MedSim resources from around the world. To follow along, sign up for our free medical simulation email newsletter, follow @HealthySim on Twitter and @HealthySim on Facebook, or join our HealthySim LinkedIn Group! Following this, Dr. Paul Phrampus and Dr. Barry Issenberg took to the stage to present the Pioneers of Simulation award to Dr. Ronald M. Harden, OBE MD FRCP (GLAS.) FRCS (ED.) FRCPC, Professor of Medical Education (Emeritus) of the University of Dundee and General Secretary AMEE. SSH recognizes Ronald for his pioneering work for simulation around the world, the development of OSCEs, and with sincerest gratitude for his life long work. Dr. Harden shared that he still focuses primarily about the future of healthcare simulation before reviewing his long history of work in developing simulation in the UK and around the world. Metaphoring the four wings of a dragonfly, he shared that collaboration, supportive environments, practical solutions for practical problems, and transferability were necessary to succeed in developing simulation in professional healthcare programs around the world over the past 55 years. Dr. Tali Sharot, Professor of Cognitive Neuroscience at University College London, gave the opening plenary address at the 2019 SSH conference. Dr. Sharot outlined her research related to the way we think and plan for the future and how this knowledge can be used in healthcare education. Thinking and planning for future events activates certain areas in the brain some of which are related to what we did in the past. For example, when we plan next years vacation, our brain automatically refers to memories from last year’s vacation. Therefore, imagination is somewhat constrained to the past. E.g. We are more likely to be optimistic about our family than strangers. We are more likely to be pessimistic about things we don’t know or about which we have no control. This is also known as private optimism versus public despair. Optimism bias leads us to believe that we are less likely to suffer from misfortune and more likely to attain success than reality would suggest. We all have beliefs and we look to the world to support these beliefs. When two people believed the same ideas, confidence went up but when they disagreed, there was a slight but significant drop in confidence. If there was no communication from the partner confidence went up, researchers suggested that the lack of communication meant the other person agreed and confidence went up. The brain does a really good job of taking information we are already confident about. Versus vaccinations do not cause harm (parents might not agree). Add a second unexpected bonus, children who are vaccinated tend to thrive and progress. People coded positive information well, but don’t code negative information so well. If you do this you will become better vs. if you do this you will become worse. Board highlighted progress – not the negative (infection rate will go up). We want to know what people are doing, want to do it better, we are social creature. Limit number of choices, but give people a choice. Lets people feel in control. E.g. People take in information about terrorist attacks and take in more negative info – they may even cancel flights. How do you enhance optimism? Friday is better than Sunday because of the anticipation of the weekend. Does not apply to money which people would rather have now than in the future. This year’s opening address is provided by Dr. Tali Sharot, a Professor of cognitive Neuroscience at University College London where she directs the Affective Brain Lab and combines research in psychology, behavioral economics and neuroscience to reveal the forces that shape our decisions and beliefs. Dr. Sharot TED Talk speaker and the author of “The Influential Mind” and “The Optimism Bias”. Her papers have been published in top scientific journals including Nature, Science and Nature Neuroscience. Dr. Sharot’s work has been the subject of features in many outlets including The New York Times, The Washington Post, CNN, the BBC and others. She has also written essays for Time (cover story), The New York Times, the Guardian among others. She received her Ph.D from New York University. View her Ted Talk, The Optimism Bias and her Talks at Google, “The Influential Mind: What the Brain Reveals About Our Power to Change Others”. Got International Meeting for Simulation in Healthcare 2019 news? 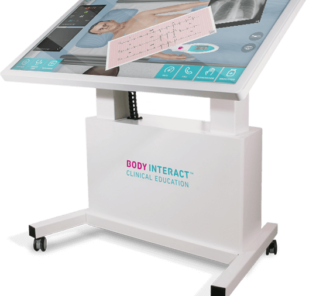 Tweet @HealthySim or email us! Follow Along with the Twitter Hashtag #IMSH2019!